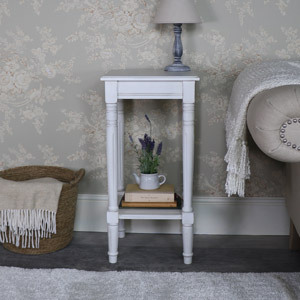 The Mia Range is a beautiful collection of shabby chic style, white painted furniture with French cane detailing and a slightly distressed finish. Items in this range are designed for bedroom, living room, hallway and office use. 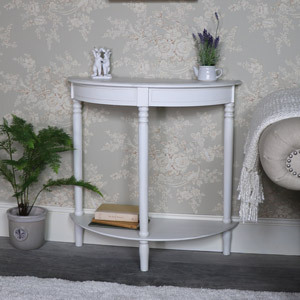 The Mia collection boasts three different side table designs as well as three different console table options – so that you can find the perfect fit for your home!